Chiropractors – all they’re cracked up to be? : FSM founder Dr Marcello Costa being interviewed about chiropractic on the “Science Vs” podcast. Dr Costa’s section starts from 19:50, but I recommend the whole podcast. It gives a good discussion on the experience of chiropractic, the history, the issues, and the evidence. The FDA Endorsing Acupuncture: No Way, Right? Back in May, the FDA issued a blueprint of proposed changes for physicians who manage pain. “FDA Education Blueprint for Health Care Providers Involved in the Management or Support of Patients with Pain”. OK, nothing wrong with a little extra education, right? Or maybe there is, depending on what is being taught. NHS England scraps 18 ‘low value’ treatments on prescription following consultation: GPs and Clinical Commissioning Groups will be told to remove what NHS England described as “ineffective, unsafe and low clinical value treatments” and seven products have also been referred to the Department of Health for blacklisting. The Invention of the Petri Dish. How Julius Richard Petri’s Dishes Changed Medical History The relatively simple (with the benefit of hindsight) idea to cover bacterial growth containers with a transparent lid to reduce contamination of the specimen has allowed incredibly important scientific discoveries to occur, including those that led to now-common practices like milk refrigeration. 5) Sometimes public demand pulls a plausible therapy into use prematurely. Medical science has to go so far, that sometimes it even has to do sham surgeries for comparison of outcomes. 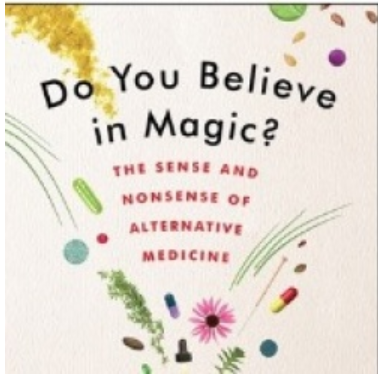 If it takes this level of work and error checking to get medicine right, what are the chances that alternative medicine, having done none of this work at all, will be valid and free from errors? 2) Check that the therapies you are presented with are supported by science in the first place, rather then by popular media. The History of Measles: This is a concise history of the disease measles through the 20th century and into the 21st. Sadly, measles was considered eradicated from the United States in 2000; but it has made a comeback, most famously in the Disneyland outbreak of 2014/2015. More recently, an outbreak has also occurred in Minnesota earlier this year in the immigrant Somali community. And why is an eradicated disease returning to the community? Well, some of it is imported from overseas but in long-time residents the culprit is poor uptake of vaccination, particularly in certain areas. This was the case in Minnesota where anti-vax groups targetted Somali immigrants with mis-information about vaccines. Perhaps this time-line will make it apparent that measles decreased due to vaccinaiton and improved vaccines decreased it even further. And that non-compliance with vaccination has lead to recurrence of a disease that should no longer be a public health issue. 3D printed brain bio-implants could help manage brain disorders. Small tissue cubes made from pluripotent stem cells can form into functioning nerves – this opens the door for specialised and personalised implants that could correct neurotransmitter imbalances within the brain. Animal trials are still ongoing though, so it remains to be seen if this can be clinically translated.